This is a smooth solution for auto gas aspiration in moving vehicles. The carrying aluminium rail, which is also the suction channel, is only fitted with a rubber weatherseal located on the top side of the channel. This rubber weatherseal seals the air gap in a natural way, thereby effectively eliminating the risk of leakage. 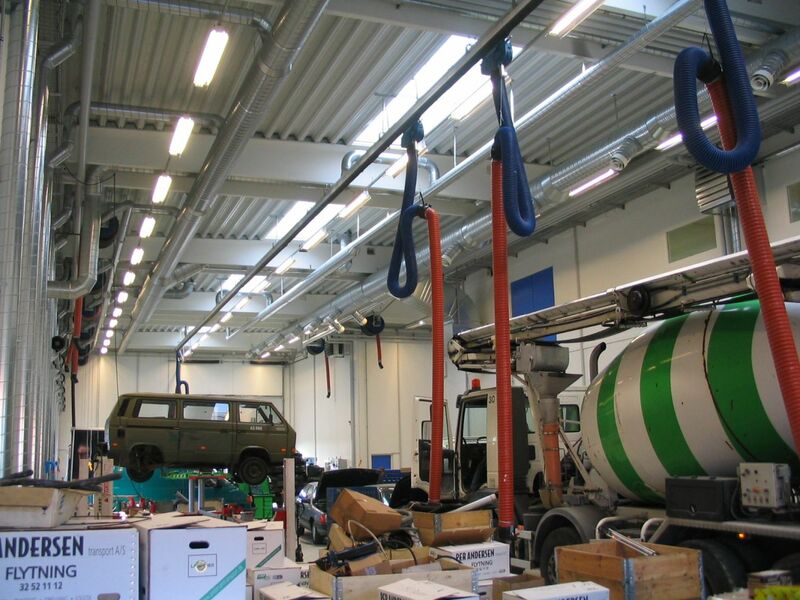 The weight is used in connection with the installation of fixed suction locations. 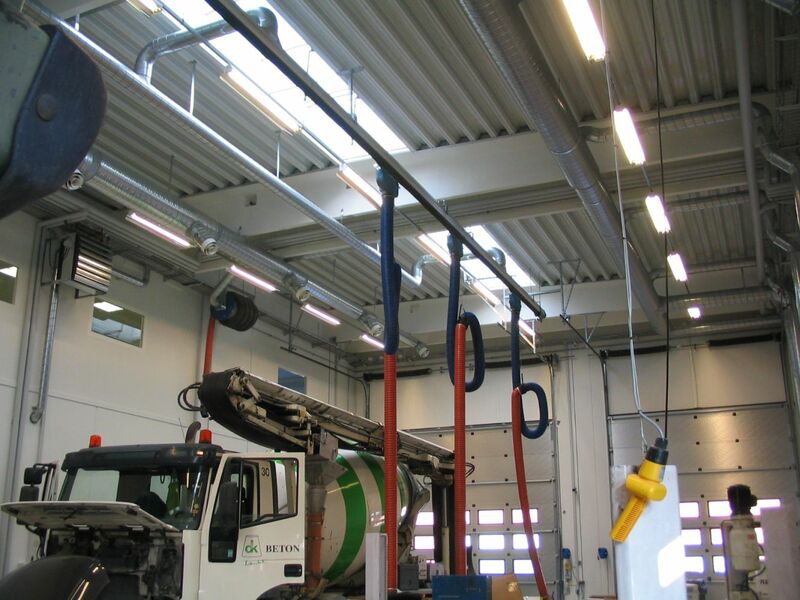 Fixed suction locations is a simple and cheap way of establishing an auto gas aspiration system in a car repair workshop featuring stationary work areas.